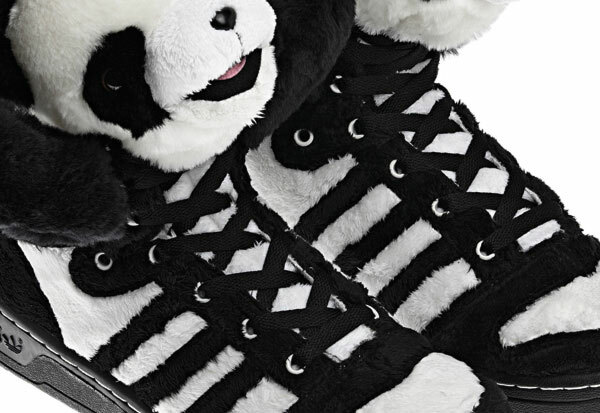 You know, at first I was pretty sure I hated Jeremy Scott’s entire “JS Bear” line of Teddy Bear Sneakers for his adidas Originals by Originals collection, but the more he drops the more I’m beginning to love them. 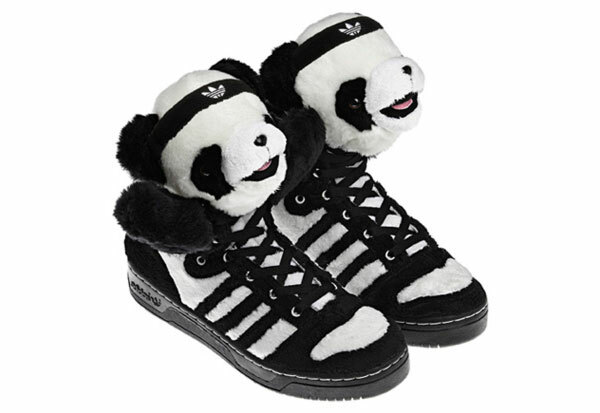 No, I would never be caught dead wearing them but who cares — they’re not for me, but the high tops are unique and clever as hell. 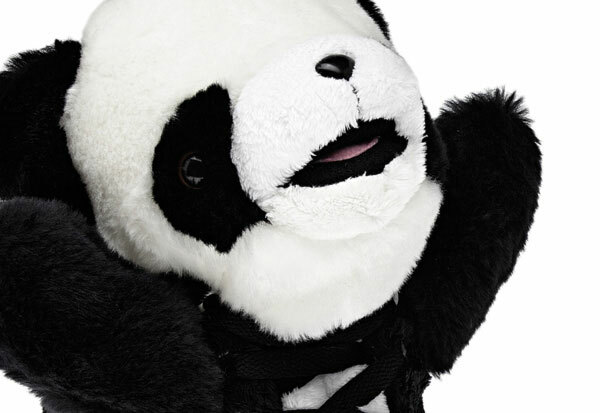 I think the Panda Bear version is ingenious — and inevitable; the classic adidas black and white colorway a natural for the Panda. Plus, I dig the sweatband. Nice touch. Although the plush and cuddly bear and shiny fur seem like they’d get filthy way too quick, so maybe these are on some glass display case tip. They’ll be coming soon to select adidas Originals by Originals boutique retailers this month, or pre-order them from Opening Ceremony for $180.